Barrier free seating allows users to move easily from seat to seat to enjoy targeted therapy from the multiple jet configurations. Legacy Series – The Legacy was our first design in our Destiny Series line featuring open seating with captain seats in the corners. Barrier free seating allows users to move easily from seat to seat to enjoy targeted therapy from the multiple jet configurations. 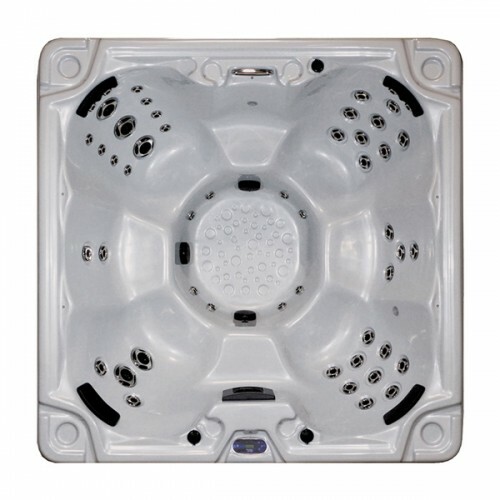 The spacious design makes the Legacy a truly “conversational” spa. The Legacy is available in a 37 or 51 jetted version.